All of creation resounds with praises to the Creator! From the students’ laughter on the playground to the pulp-covered seeds of a pumpkin, everything points to Him. At Trinity, we’re in the midst of Spiritual Emphasis Days. A time set apart to focus on Increasing in our relationship with the One who gives us the breath to praise. Often these moments are too sacred to be captured by a camera. Quiet reflections, songs uplifted, challenges delivered, and responses made are best left between a child and a Father. However, once experienced, it is hard to keep silent about His gracious love. 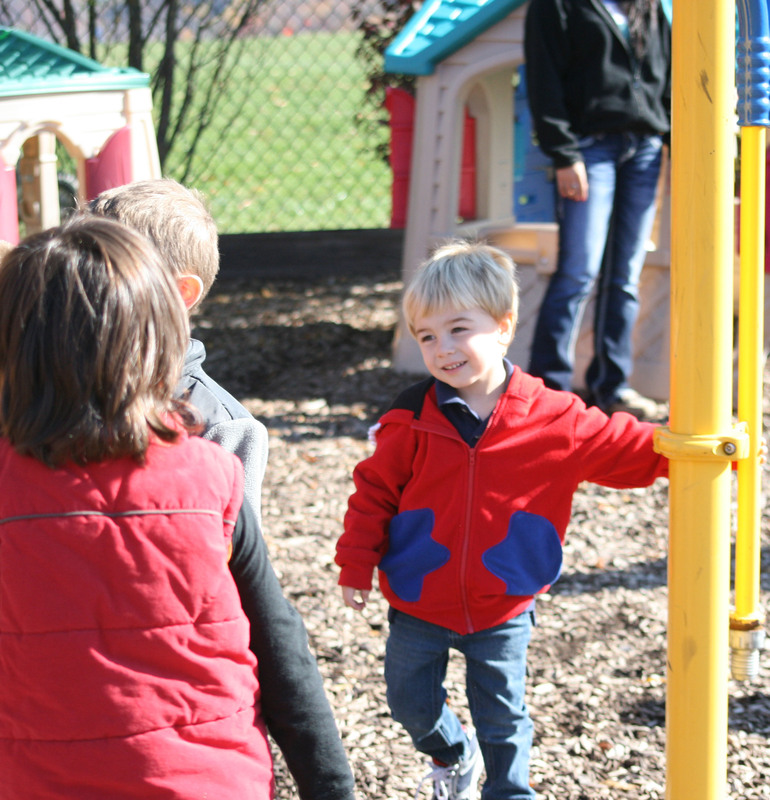 Pre-school students take advantage of the sunny autumn day at recess. 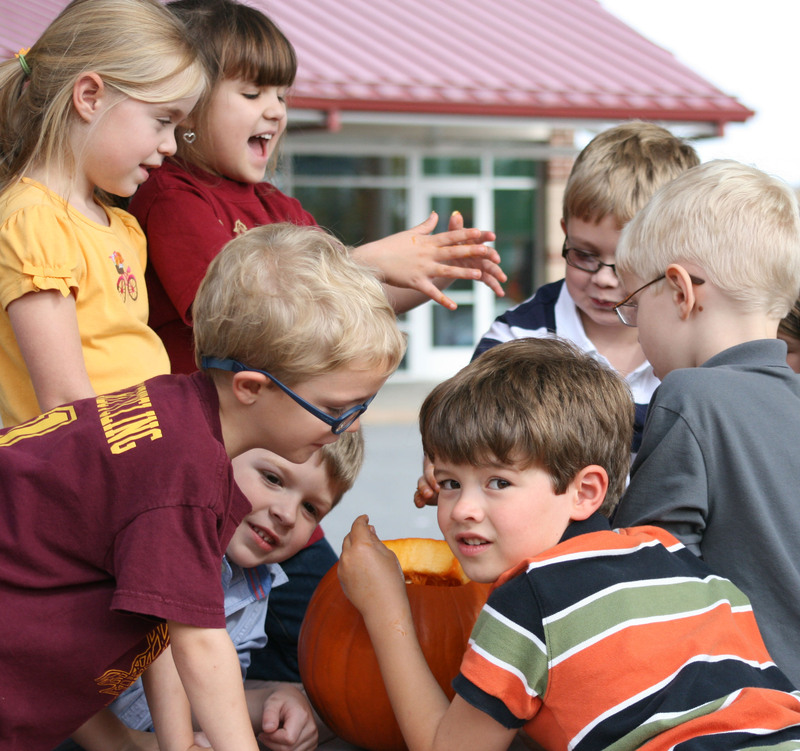 Experiencing science hands-on, elementary students learn about the parts of the pumpkin. 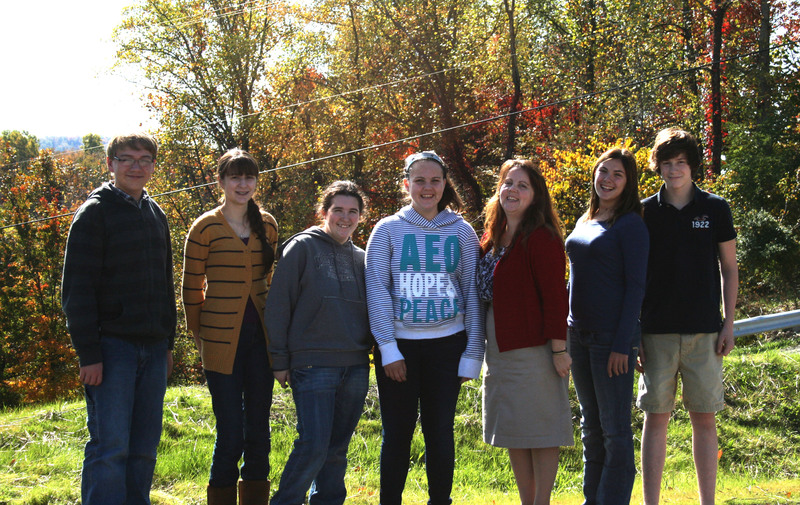 Trinity sent a team of six high school students, accompanied by teacher Mrs. Boback, to the 2012 Youth Science Discovery Experience which is sponsored by the National Youth Science Foundation. 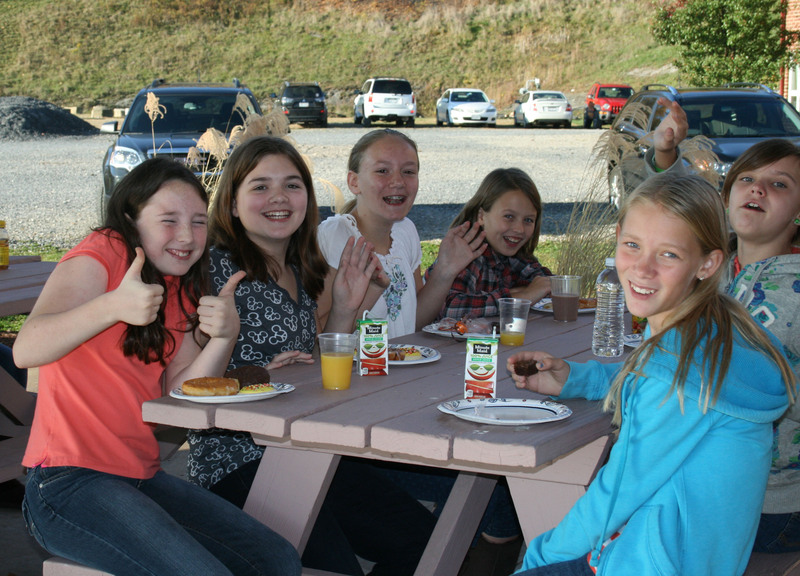 Secondary students enjoy a brunch following chapel during Spiritual Emphasis Days.